I distinctly remember the moment when, years ago, I walked into the house of one of my friends. It was a beautiful house, in a nice neighborhood, and it was extremely tidy and well-kept inside. However, when I stepped into the entryway, what my eyes settled on was not a fancy decorative vase or designer artwork. What I noticed was a pile of papers sitting on the kitchen counter-and it made me delighted. I was so ecstatic, in fact, that I gleefully declared how happy I was to see this "junk pile." The presence of a stack of papers and store ads communicated to me that the people who lived here were OK with less than Martha Stewart perfection, and that I could let my hair down, kick up my feet and be at home in their house. For better or for worse, our homes communicate who we are. If we're disorganized or sloppy people, our homes are visible witnesses to this. If we're Type A people, this will also be reflected in our homes. If we are retired and elderly, this will probably be noticeable through nice displays of breakable items and family pictures. If are parents of young children, this will be apparent through random toys and board books that inevitably hide themselves in the cracks and crevices of a clean living room. Or, in cases like ours, the books don't hide themselves but flood the floor. While it's interesting to think about how our personalities influence our home design, lately, I've been thinking about how our faith and spirituality inform the places we live. A few months back, I read Goodbye Things, by Fumio Sasaki. In this book, Sasaki (who confessed, up front, that he is just a normal guy) detailed his journey into minimalism. Through Sasaki's reflections and photographs, it became apparent that his ideal of home design and minimalism is "minimal to the point of bare." There would be nothing on the walls, and only a few absolutely necessary items in each room. Sasaki is not alone in his embrace of extreme minimalism, either. While I'm sure that there are Japanese people who own "unnecessary" items and don't have barren houses, the Internet now abounds with photographs and articles about Japanese minimalism. While I've read that there are different reasons behind this view towards physical objects-from MA (the "void between all things," according to wellness website Wawaza) to the reality of natural disasters that make it advantageous to own less-I find it intriguing to glance at the possible role that beliefs play here. "More than any other religious tradition, Buddhism incorporates minimalist concepts into its philosophy of life. Japanese Zen in particular places an emphasis on an uncluttered mind, concise emotions and a healthy, pure body. Buddhism’s powerful influence in every Asian society from at least 2,000 years ago has left a mark. " 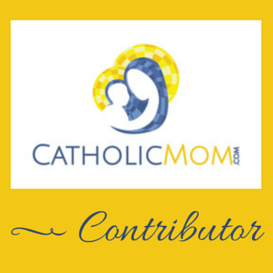 As a Catholic Christian, how do my faith, beliefs, and spirituality impact my home? "Rarely is our pursuit of stuff, hobbies, or achievements about God. We are caught up in a swirl of self-centered doubt, “Am I good enough? Do they really like me? Am I missing out on something better?” We allow the noise of our thoughts and the noise of the world around us to drown out the loving whispers of the Lord." We should seek God first and foremost in all things, but this does not mean that physical objects are necessarily bad. In fact, God uses physical objects. Throughout the Gospels, Jesus incorporates physical matter as He performs miracles. For example, when Jesus healed a man who had been blind from birth, He smeared clay on the man's eyes (Jn 9:1-7). In the Acts of the Apostles, we see that God can use physical objects when He imparts graces and heals people (for example, the "face cloths or aprons" that touched the skin of Paul, in Acts 19:11-12). From other occasions in the early Church, we see that physical remains-relics-of saints were revered and honored, like after the death of St. Polycarp in 156 AD. I've pondered these things and this thought keeps coming back to me: Physical objects can be good and used by God to further His glory, but we also need to place our full reliance on God and detach ourselves from material possessions. This awareness will, I hope, be reflected in my home. I think that the topic of minimalism, faith, and the homes we create is pretty interesting, and I always love hearing about what principles and ideas other people implement! If you're interested in a glimpse into my mindset as a homemaker, I'll be chatting about some specific guiding principles I keep in mind in Part 2 of this post. I wish I had just one "junk pile." I've got several...and a junk drawer and a junk cupboard! I definitely think the physical things in our lives can either support our faith or distract us from it. I really strive for the former. I wouldn't say that we are minimalists, but I would say that we strive for simplicity (perhaps there are some similarities?). We try to make sure our home is filled with things that are functional and help us extend hospitality to others. However, I also try to have an attractive home (which includes wall hangings and such) because I believe this creates a comfortable, welcoming environment for my family and guests. Many of our wall hangings display Bible verses, which is something I love and value. I see it as a very tangible application of Deuteronomy 6:9. I'm eager to see what you share in part 2! Thanks for sharing your outlook! I think you really strike an important note with wanting to create a welcoming and hospitable environment; I believe this is definitely a case where you can see one's practice of Christianity influencing their home's appearance. I'm not an expert on minimalism by any means, but I do think striving for minimalism and striving for simplicity have lots of crossover, since many people minimize in order to achieve greater simplicity. It really looks so different from person to person (and from culture to culture) so I think it's hard to entirely define the differences and similarities, though. What an interesting topic! I look forward to hearing more of what you have to say on this. I definitely strive to live simply and have a welcoming place. And I think the way I decorate is a pretty accurate representation of who I am and what I care about. Looking forward to your coming posts!! It is interesting to think about. I always feel so much better when there is less stuff. Im looking forward to part 2. Thanks, Ann-Marie! I'm pretty stoked to keep exploring this topic. I agree, I always feel way better when there is less stuff! I think it's very much true that the state of our homes reflect our values and priorities and personalities! I tend to err a bit on the minimalist side as you know and I think a lot of that comes from my history of multiple international moves--you can't afford to be too attached to "stuff" when you may have to leave it behind when the next move comes!